Hyundai's flagship luxury coupe recently experienced its first real world crash. 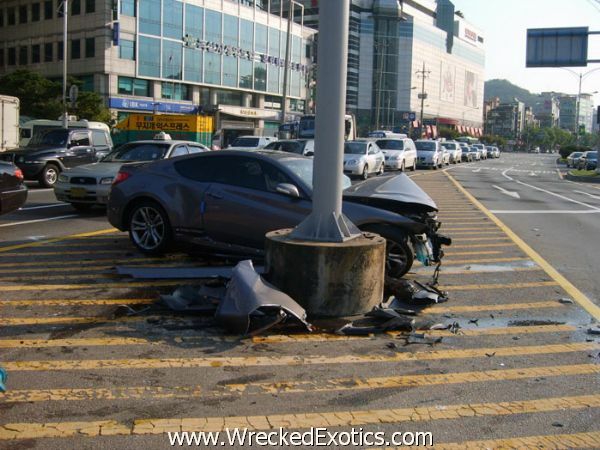 The driver fell asleep and slammed into the concrete base of a lightpole. We can't verify the accuracy of this, but both passengers were apparently badly injured due to the airbags failing to deploy. On the bright side, the crumple zone seems to have done an exceptional job protecting the cabin and absorbing much of the impact.